The Office of Career Services is proud of our alumni, and we are pleased to support you in your endeavors beyond Harvey Mudd College. We provide alumni with virtually all the career services that were available to you as a student. Whether you are a recent graduate looking for a job, need help perfecting a resume or graduate school application, an employed alumnus interested in recruiting for your organization, or a proud graduate eager to share your professional story with students, we are here for you and welcome your engagement. There is no charge for services. Set up an appointment on Handshake, our web-based career management system. Appointments can be by phone, Skype or in person. 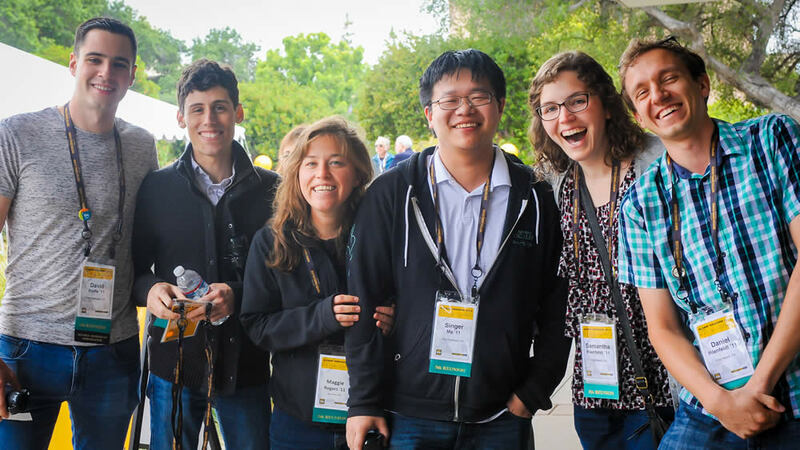 Look for jobs posted to the Harvey Mudd College Alumni Association LinkedIn page. If you have not already joined, we encourage you to become a member.  Attend Harvey Mudd jobs fairs in fall and spring. Attend job fairs to maximize visibility for your organization. You can also sign up for fairs in Handshake. Your online platform to connect with employers, discover opportunities and events, and schedule appointments. 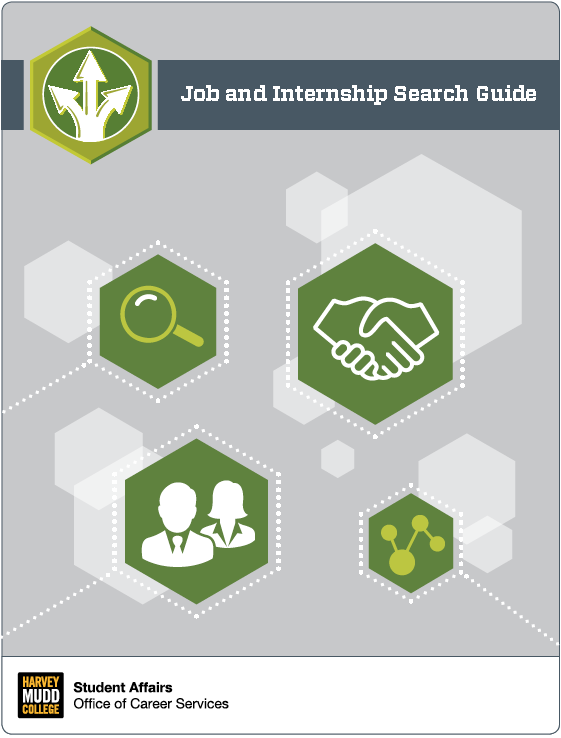 Review the Job and Internship Search Guide (PDF) for information on creating your resume, preparing for an interview and even negotiating your offers. 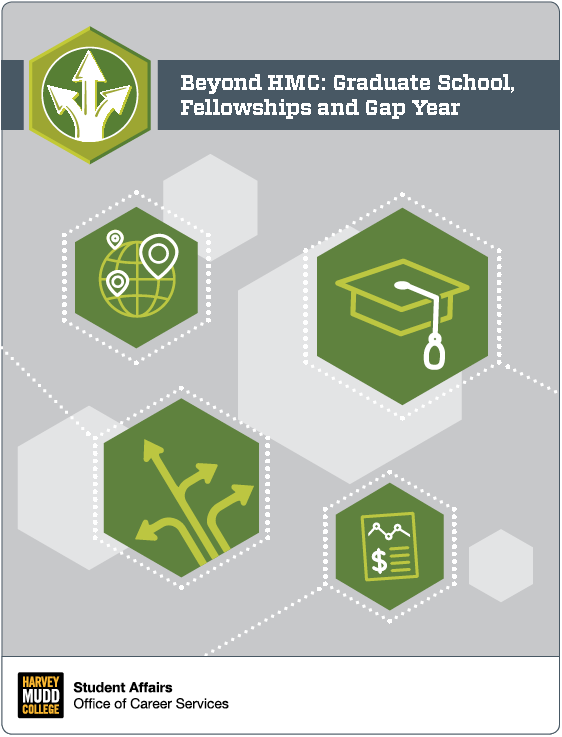 Review the Beyond HMC: Graduate School, Fellowships and Gap Year Guide (PDF) for information on applying to graduate school, links for popular fellowships and ideas for taking a gap year.